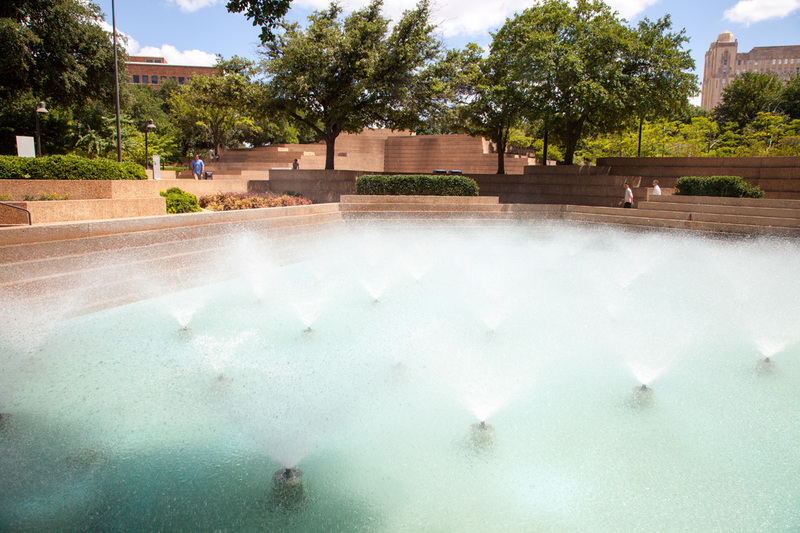 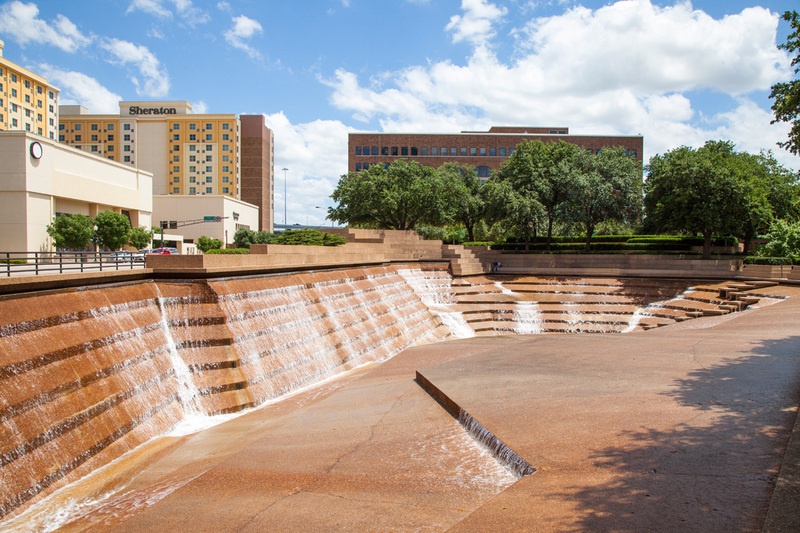 Dedicated on October 19, 1974, the four-and-a-half -acre Water Garden is a gift to the citizens of Fort Worth from the Amon Carter Foundation. 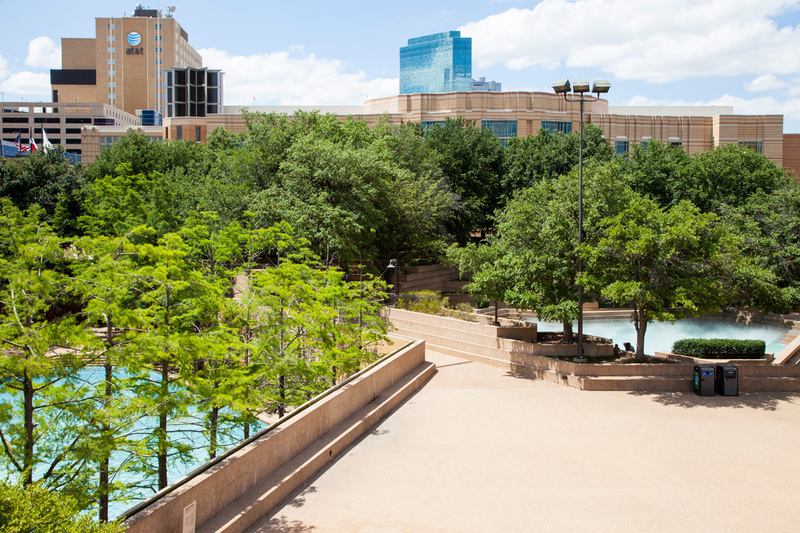 Motivated by Lady Bird Johnson’s civic beautification movement, the Foundation’s president, Ruth Carter Johnson, selected architect Philip Johnson, who had recently completed the Amon Carter Museum, to enhance several blocks of derelict property located in downtown Forth Worth. 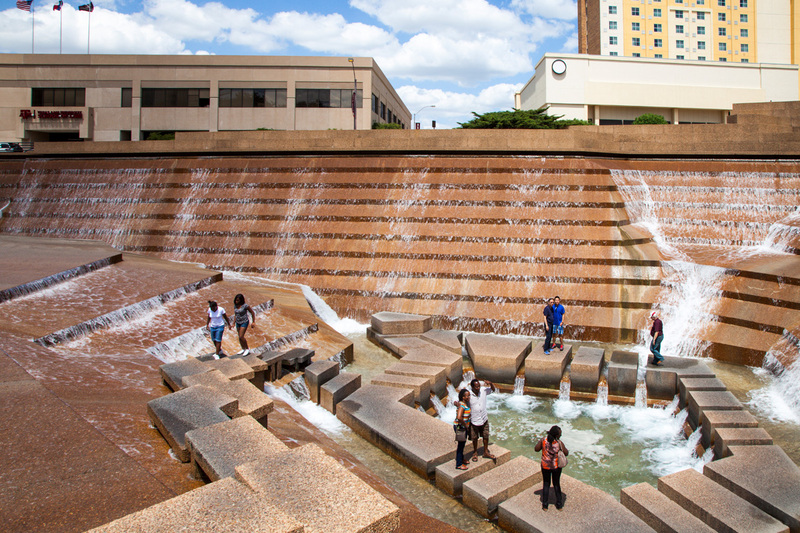 Flanked by the convention center, railroads, and an elevated freeway, Johnson designed the asymmetrical space to occupy multiple levels. 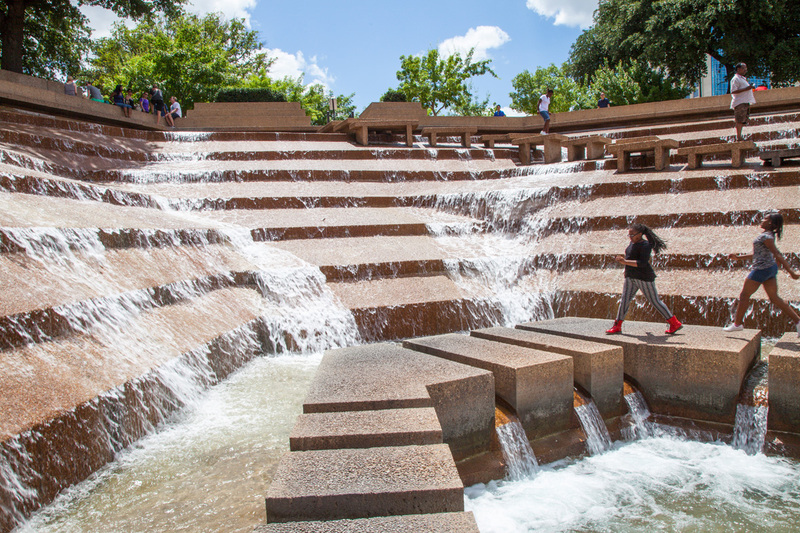 Unlike his rectilinear Museum of Modern Art sculpture garden in New York City, in the Fort Worth Water Garden angular, polygonal forms of concrete, water, and vegetation shift and undulate across the park. 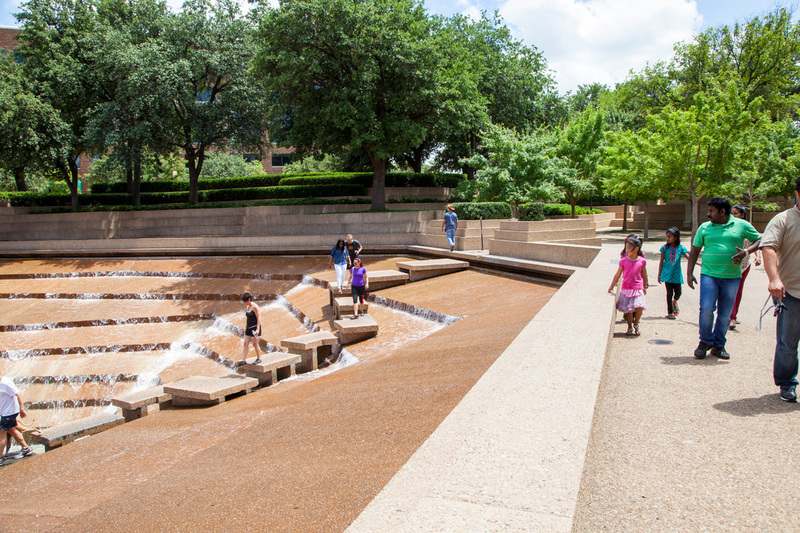 The series of walkways, pools, terraces, and a central plaza create varied spaces that are both open, closed, sunken, raised, private, and public. 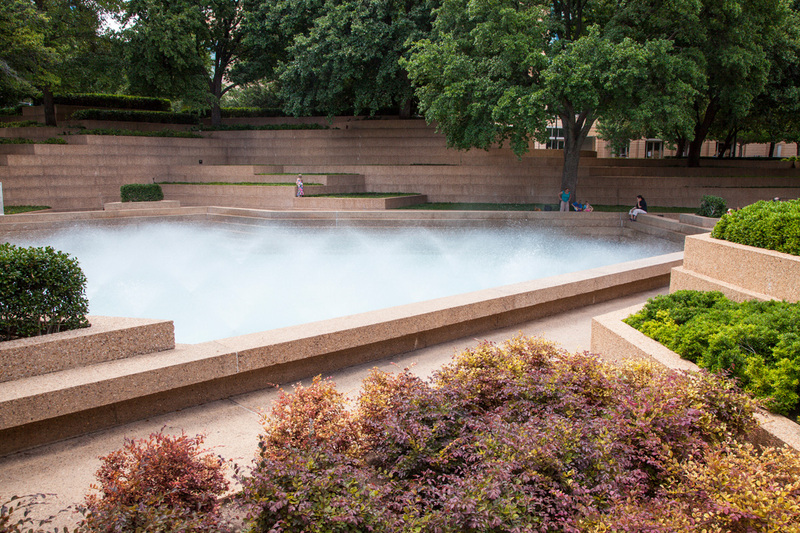 The three main pools, celebrate different characteristics of water. 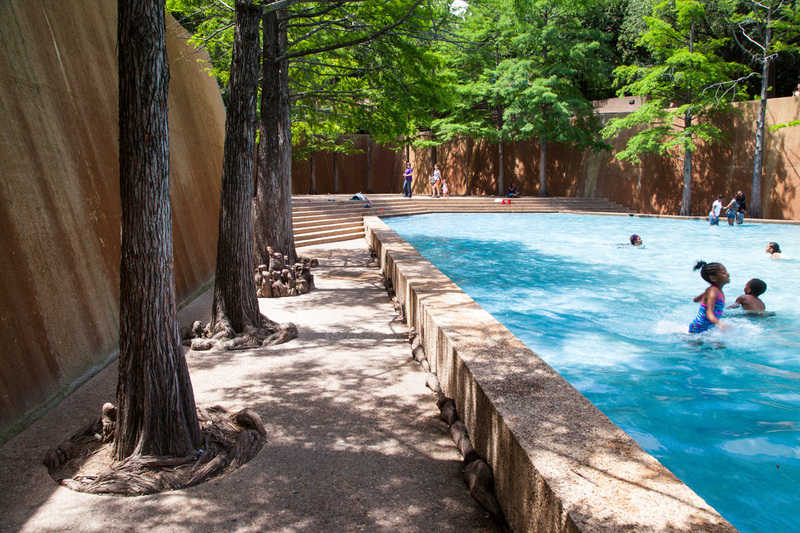 The Quiet Pool features a sheet of water falling down into a still, sunken pool surrounded by bald cypress, while the Dancing Pool boasts forty aerating fountains. 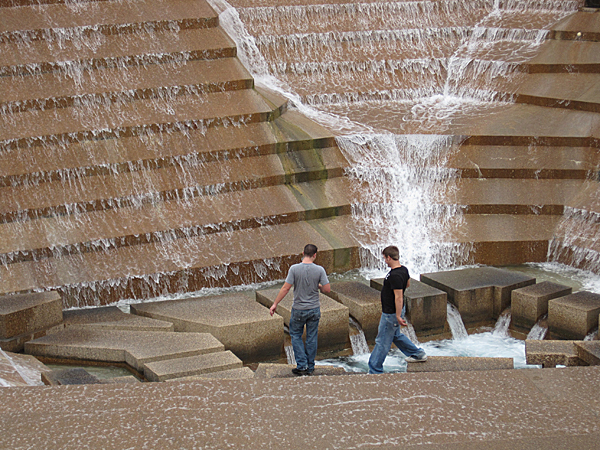 The highlight of the park is the Active Pool, where water rushes down steep, stone steps to a roaring gorge forty feet below. 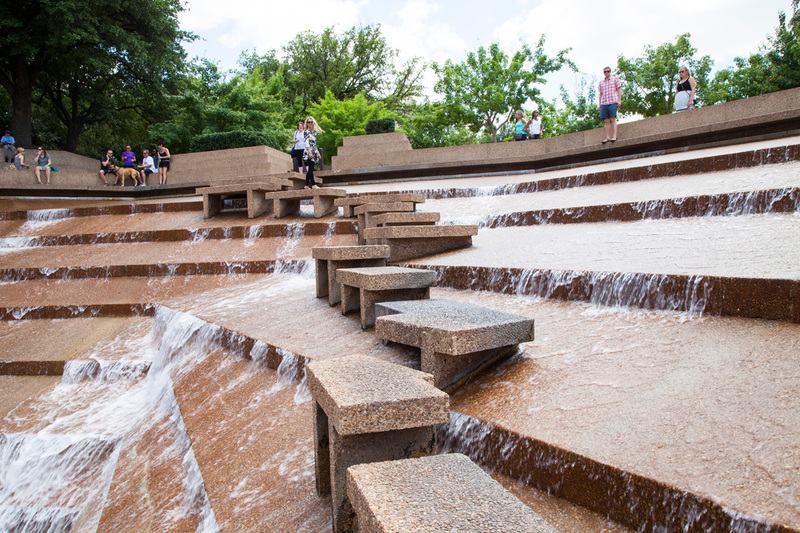 Visitors can descend above the gushing water on an elevated walkway of free-standing steps. 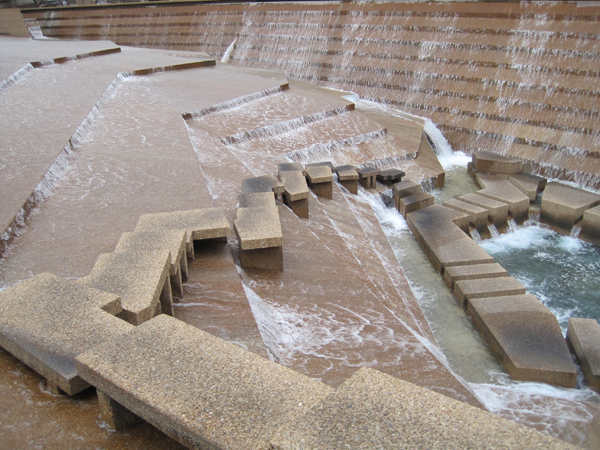 One critic wrote, after the opening of the garden, that the Water Garden reflected Johnson’s departure from his ‘Miesian’ period to a more activated and dynamic geometry.